A WHILE AGO, A FRIEND WAS TEACHING A LESSON AT CHURCH 2 THE TEENAGE GIRLS (THAT I ALSO TEACH), & SHE INVITED ME 2 COME WRITE ON THE CHALKBOARD (SOMETHING I CAN’T DO, & THESE GIRLS DO IT FOR ME, WHEN I TEACH). THE IDEA WAS THAT THE GIRLS WOULD SEE ME STRUGGLE, & OFFER 2 DO IT. BUT SOMETHING VERY INTERESTING OCCURRED: THEY SAT THERE, SURE THAT AFTER A LITTLE STRUGGLE, I COULD DO IT! LOL THEY WEREN’T BEING MEAN…THEY IN FACT KNOW ME TOO WELL (I KNOW I HAVE FRIENDS & FAMILY MEMBERS WHO HAVE 2 RESIST THE URGE 2 HELP ME…), & EVEN COMMENTED ON HOW THEY HAVE SEEN THINGS HAPPEN, AFTER I STRUGGLE, SO WHEN I WAS ASKED 2 USE THE CHALKBOARD, THEY KNEW I WOULD STRUGGLE, BUT FIGURED I WOULD DO IT, EVENTUALLY. LIKEWISE, THE OTHER DAY (LAST THURSDAY) I WAS LAUGHING & LEANING 4WARD AS ANGIE WAS LEAVING THE ROOM. MOST PEOPLE WOULD RUN BACK 2 ME & HELP ME SIT BACK UP, BUT IT WAS SO COOL WHAT ANGIE DID! : SHE SAW ME CATCH MYSELF, THOUGHT, “SHE’S GOT IT…”, & SHE KEPT ON WALKING, & LEFT THE ROOM! I PROCEEDED 2 CALM MYSELF, & PUSH MYSELF BACK 2 SITTING UPRIGHT…BUT I LOVED HOW SHE REACTED LIKE IT WAS NO BIG DEAL, & HAD COMPLETE CONFIDENCE IN ME 2 NOT FALL, & INSTEAD BE ABLE 2 SIT UP AGAIN, WITHOUT HELP! (MK OFTEN REACTS THAT WAY, & SOMETIMES HAS MORE CONFIDENCE IN ME, THAN I HAVE IN MYSELF, BUT IT WAS COOL THAT SOME1 ELSE SHARED THAT CONFIDENCE IN ME!) ANGIE L8R EXPLAINED THAT SHE CAN TELL IF I’LL NEED HELP, BY THE ANGLE—BASICALLY, I HADN’T HIT THE “POINT OF NO RETURN” YET, SO ANGIE KNEW I WAS FINE, & IF NOT, I CAN HOLLER 4 HELP (IT USED 2 BE THAT I COULD ONLY SIGN IF I NEED HELP, BUT NOW I CAN SAY NAMES, OR SAY, “HELP ME!”). ANGIE HAS A LOT OF “PRACTICE” AT WATCHING ME TRY 2 DO NEW THINGS ALONE, CUZ I TRY 2 DO STUFF ALONE WITH HER RIGHT THERE, ALL THE TIME (OFTEN SHE’S BUSY HELPING HER BABY OR WITH OTHER THINGS 4 ME, & I FIGURE I CAN EITHER BE BORED, OR TRY MYSELF WHILE I WAIT)! SO, I FIGURE THAT WHILE I WAIT 4 HELP, THERE’S NO HARM IN TRYING 2 DO IT MYSELF, ESP. WHEN SOME1 IS RIGHT THERE (SO IF I NEED 2, I CAN SAY, “HELP ME!” –THOUGH I WAIT 2 EVEN ASK 4 HELP, CUZ THERE’S ALWAYS A CHANCE I CAN DO WHAT SEEMS IMPOSSIBLE). I MAY GET CREATIVE, OR EVEN FEEL PAIN, B4 I ASK 4 HELP…CALL IT STUBBORN OR PROUD, BUT I FIND A THRILL IN BEING INDEPENDENT! HOWEVER, EVER SINCE MY FALL, I TRY 2 KEEP THE DESIRE FOR INDEPENDENCE IN FAMILIAR PLACES…LIKE MY HOUSE. SOMETIMES I WISH I HAD A VIDEO CAMERA IN MY CRAFT ROOM: SINCE THINGS IN THERE HAVE BEEN PUT IN SPECIFIC PLACES 2 INCREASE MY INDEPENDENCE, I DO SO MANY COOL THINGS WHEN I’M ALONE IN MY CRAFT ROOM, BUT THEY ARE TOUGH 2 EXPLAIN, SO I JUST SILENTLY TELL MYSELF HOW AWESOME I AM, & THEN GO ABOUT MY DAY, AS IF I DID NOTHING. LOL IF I HAD A VIDEO CAMERA, PEOPLE COULD JUST SEE WHAT I DOSOMETIMES I MAY APPEAR OVERLY CONFIDENT IN WHAT I CAN DO, & I KNOW IF U LOOK AT ME, IT SEEMS I CAN’T ACCOMPLISH MUCH, BUT AS MY DAD USED 2 ALWAYS SAY, “WHERE THERE’S A WILL, THERE’S A WAY!” & SINCE I HAVE WITNESSED HOW MUCH I CAN ACCOMPLISH ALONE IN MY CRAFT ROOM, 2 ME, IT DOESN’T APPEAR SO CRAZY! “In a split second all the many years of training, pain, sweat, blisters and agony of running were simply and irrevocably wiped out. “Certainly I was very disappointed in falling flat on my face. However, there is nothing I can do about it now but get up, pick the cinders from my wounds, and take one more step followed by one more and one more, until the steps turn into miles and miles into success. “I dare you to look up at the stars, not down at the mud, and set your sights on them that, up to now, you thought were unattainable. There is plenty of room at the top, but no room for anyone to sit down. “Who knows? You may be surprised at what you can achieve with sincere effort. So get up, pick the cinders out of your wounds, and take one more step. I go to church with you, and your father is my Home Teacher. 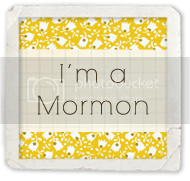 I have never really spoken to you except to say “hi”, but I listen to your updates in Relief Society. Your dad sent me your link because I have degrees in Psychology and Sociology. I am currently back at UT working on levelling courses for Nurse Practitioning. I would like to hear more about your remarkable and exceptional recovery and growth. I have dealt with many individuals that are paraplegic, quadriplegic as well as other conditions, and I have to say that I feel inspired by your determination and pride in your self. I really like that about you! So many people give up, and don’t even try to help themselves and we, (I work at St. David’s) have to do everything for them. These are people that have lost far less than you, and yet they are not interested in progressing. Anyway, I would like to hear more about your new personal discoveries. Bounce some ideas off me, or I you? Forgive me in advance for being clumsy in what I may ask or say, I just may not know any better! I would like to know about your personal victories in your art room. I found myself smiling at that- I myself have done things and said “wow! I wish someone would have SEEN that! Who knew I was such a genius? !” haha! Take care, and my best to your dad.